In order to understand today’s landscape of major business trends, we must look outside of the traditional boundaries of the business world. Steven Overman, CMO at Kodak and author of The Conscience Economy: How a Mass Movement for Good is Great for Business, does exactly this. Not only does he analyze the major trends of today, but he also argues that they are all uniquely converging into what he refers to as a “major conflux” of tipping points. To say that Overman takes an all-encompassing and holistic approach to analyzing business as we know it would be an understatement. You’ve been warned, this book is overwhelming… but in the most enthralling and amazing way. Overman has a knack for condensing the world’s largest trends into a book of 167 pages. From there, Overman shares with us the main emerging core beliefs of this new culture including value systems relating to fairness, optimism, authenticity and global citizenship. He moves on to explain the expectations associated with operating within this new culture, especially those that are placed primarily on the business world. Some of his most noteworthy expectations include the importance of human connection, customization and shareable content. He then outlines who will (and who already does) lead the way in this new culture. Overman shares with us how social enterprises, certification associations, the media and other key stakeholders operate within our new conflux of the conscience economy. From this point onward, Overman turns his attention over to analyzing the death of CSR and marketing (as we’ve historically known them), while showcasing our transition into collective innovation, new accountability and pragmatic optimism. Though the era of CSR (within its historical context) is dead, it doesn’t mean we should dismantle every CSR team that ever existed. Instead, CSR departments should continue to lead the movement of integration, innovation and disruption. Marketing as we knew it in the past is gone forever. Integrated marketing and the communications mix have made the world of marketing that much more complex. Breakthrough innovation doesn’t happen in a vacuum. It needs to be debated. It needs “disagreement that fuels progress.” It needs to be collaborative. It’s imperative that businesses measure beyond the traditional bottom line, report on what’s monitored, use it for forward-thinking and share their story. Measurements must be given a voice via contextualized content. Concern, a need for immediacy and fear are all important drivers, but optimism and a belief in possibility are what will ultimately ignite our desire to proactively change the world. 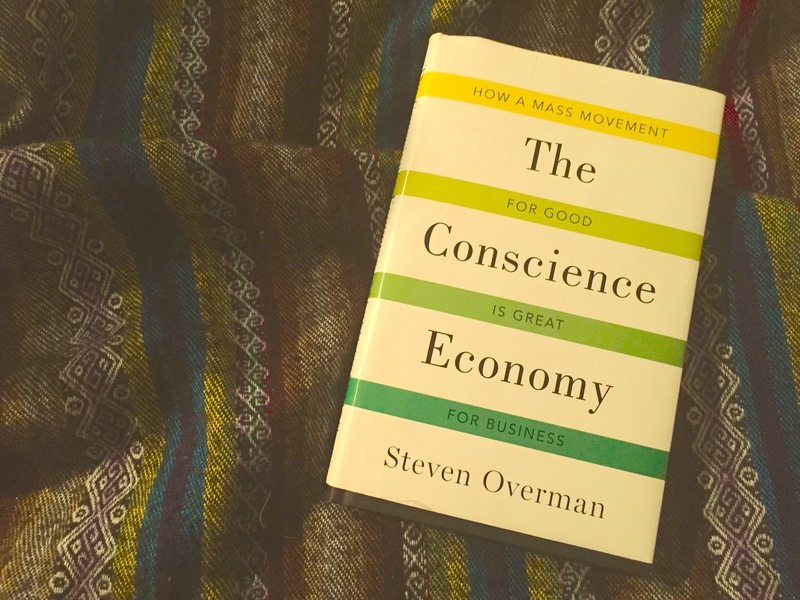 If you’re looking for a cutting-edge, holistic and sensibly inspiring viewpoint on our world’s current state, seriously consider adding The Conscience Economy to your reading wish list. Have you read Overman’s book? Feel free to leave your own reviews, opinions and takeaways in the comments section below. And don’t forget to follow the blog and follow me on Twitter @CSRtist for more inspiring content on corporate good.